Spotlight Words on our minds this week. Words to the Wise Our world-famous question and answer column. Curmudgeons' Corner Gripes and grumbles from whining pedants Barb Dwyer and Malcolm Tent. Sez You . . . Wherein we graciously permit challenges to our profound erudition. Mailing list Weekly previews of the Latest Edition, plus notification of other changes to the site. Interested in sponsoring this site, advertising here or making a donation to keep the site running? This week, in Sez You..., we use the phrase an axe to grind. What is the origin of that phrase? Some sources suggest that it comes from a story by Charles Miner, published in 1810. In it, a man who wishes to sharpen his axe convinces a boy to turn the grindstone for him. The boy does so, finding that the work is taxing and also makes him late for school. He does not get any praise from the man, only a scolding for being tardy in getting to school. The OED suggests that the story was told by Benjamin Franklin, and it cites the first written form of the phrase as coming from, yes, Charles Miner, but in 1815 in his story Who'll Turn the Grindstones. The phrase hair of the dog came up in conversation recently, and all of those involved in the discussion wondered about its origin. We were able to supply the answer: the term referred originally to the belief that placing the hair of a mad dog on a bite inflicted by that dog would heal the bite. The first recorded use of the phrase in that sense dates from 1546, in John Heywood's Proverbs: "I pray the leat me and my felow haue A heare of the dog that bote us last night." The notion that a little bit of what pains one helps to heal the pain was carried over to overindulgence in alcohol, so that "the hair of the dog" now refers to the practice of drinking an alcoholic beverage to ameliorate a hangover. In the catbird seat is a peculiar expression which we hear every now and again. It was popularized by Red Barber, the announcer for L.A. Dodgers baseball games, in the late 1930s and early 1940s. However, the term had been around before he made it famous, at least according to him. He was born and raised in Mississippi, and so the phrase has been characterized as one of Southern (U.S.) origin. However, not even the Dictionary of American Regional English has references to the phrase earlier than 1943. Author James Thurber made the phrase more popular by using it in his work Carnival in 1945. Now that we've dispensed with the first date of use bit, we can tell you that in the catbird seat, which means "sitting pretty" or "in a good position", probably arose because the catbird is an American thrush which perches in the highest limbs of tall trees. Apparently that is considered a good position by human onlookers, but most certainly by the bird itself, offering an excellent vantage point and safety from ground-dwelling predators. 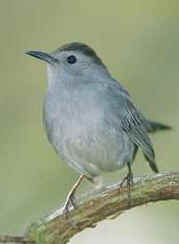 By the way, it is called a catbird because one of its calls sounds like a cat's meow. Ream of paper is such a seemingly simple phrase, but what is a ream and what does it have to do with paper? Great site, by the way. Thank you! As frequent readers of Take Our Word For It know, we like printing letters which contain praise and adulation, or even a please or thank you [JOKE!]. 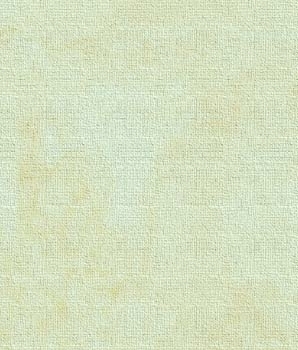 As for ream, it denotes a quantity of 20 quires or 480 sheets of paper. Of course, that is usually rounded up to 500 sheets today (to allow for errors). Then there is a printer's ream, which is 21� quires or 516 sheets. If you do a little algebra, you'll determine that a quire is 24 sheets of paper. Like algebra, ream has Arabic as its source: rizmah "bale or bundle". Middle English acquired the word in the latter half of the 14th century, when it was spelled rem or reme. By the late 15th century the form reame had appeared, and the final e was dropped by the mid-18th century. Old French had several different forms of the word, too, including rayme and remme, while in modern French it is rame. The Spanish and Portuguese equivalent is resma, and Italian, via Medieval Latin, is risma. Middle High German seems to have acquired the word from Italy, resulting in the modern German form ries, and Danish and Swedish apparently took it from German as ris. It is interesting to note that the French seem to have dropped the s/z sound of the Arabic form, while the other Romance languages kept that phoneme. Since we've mentioned quire, we should discuss its origin, as well. It derives ultimately from Latin quattuor "four" and designated four sheets of parchment or paper which were folded once down the center to form eight leaves. It soon came to refer to twenty-four sheets of paper. The word first appears in the written record in the middle of the 15th century. I am trying to find the origin of calling certain stocks blue chip. Hey, we knew Jack Kennedy, and you're no Jack Kennedy! Oh, well, maybe you are. O.K., then you've probably encountered blue chips while playing poker. Yes, that's right, red chips are cheap, white chips are intermediate, and blue chips are usually the high-value ones, and so that term was transferred to those stocks that are considered to be fairly reliable as an investment. The term dates all the way back to the turn of the century in the U.S., and a little more than 50 years later it was in use on the other side of the Atlantic. By the way, those poker tokens are called chips because they used to be made of wood. I heard that the word dude means "camel's testicles". Is there any truth to this? Excellent suggestion, dudette! But highly unlikely. What is known of the word is this: it became a popular term in New York in early 1883, and it referred to any young man exhibiting an exaggerated care and detail in dress, speech, and behavior. It was, of course, derogatory. The earliest use dates from 1883, in the March 31 issue of The Graphic: "The 'Dude' sounds like the name of a bird. It is, on the contrary, American slang for a new kind of American young man...The one object for which the dude exists is to tone down the eccentricities of fashion...The silent, subfusc, subdued 'dude' hands down the traditions of good form." From there little is known of the word's origin, though Eric Partridge, slang specialist extraordinaire, guessed that dude derives from dud "a delicate weakling", with the influence of attitude, as well as the use of dud(s) to mean "clothes". Duds meaning"clothes" dates from the 15th century. The dude in dude ranch comes from the same source. It simply took on the more general meaning of "city-dweller". A synonym is tenderfoot. This is an office discussion: what is the origin of the word cowlick? I know it means "hair that grows in a different direction" but where does it come from? A cowlick is simply a shock of hair which looks as if the big, wet tongue of a cow has licked it. It grows in a different direction from the rest of the hair around it, so that it might look as though it is sticking up or out. The term dates from the late 16th century, when R. Haydocke used it in his translation of Lomazzo: "The lockes or plaine feakes of haire called cow-lickes, are made turning vpwards." A feake, by the way, is a "dangling curl of hair". Having seen a fair number of cows in our lives, we have to wonder if the term arose because some varieties of cattle have rather scruffy coats, looking as if they are, themselves, covered in cowlicks, which people may have thought were caused by the cow licking its fur. There is also the less-heard term calf-lick, which has the same meaning as cowlick. What is the origin of the term hunky dory? I was once told that it arose from product advertising decades ago. That would have to be over 13 decades ago, because the term dates back to the 1860's. Not long before that the term hunky had arisen to mean "in good condition; safe and sound; all right". That derives from the same source that gave West Frisian the word honcke "house; place of refuge or safe abode" but where the dory part of the term comes from is not known. Despite some sources' suggestions, it certainly does not come from the name of a street in war-time Japan called Huncho-dori where sailors spent their leave. The term had already been around for almost a century by the time the U.S. entered World War II. Paddy (or padi) is the Malay word for rice, especially when the entire plant is being discussed. A field where paddy is grown is, naturally enough, a paddy-field. In previous centuries, rice in the husk (i.e. "brown rice") was known as batte, a word from Kanara in western India. Although paddy and batte seem very similar, they do not appear to be related. When we understand that paddy means "rice", we see how foolish the phrase rice-paddy is. It means "rice-rice" which sounds like something one feeds a baby for its din-dins. I cannot resist adding to your comment that "to partake of His/Her Majesty's hospitality" means to be in jail in the UK. When Oscar Wilde was jailed in England, he fell or was pushed down a flight of stone stairs. As he lay, half stunned, at the bottom, he said, "If this is the way Her Majesty treats her prisoners, she doesn't deserve to have any." I've always thought that should be the first definition of "class" in the dictionary. Thank you for addressing my query concerning Africa. I would just like to share that it has been my observation that the word Afer or Afr most probably derives from the Phoenician language in relation to the Hebrew word ephra meaning "fruitfulness" (from which is derived the name Ephraim). Thus, Afr would have referred to the fertile hinterland beyond Carthage. I must correct the common misconception that Diego is the Hispanic form of Jacob. (I'm a professor of Hispanic linguistics and the mother of a son named Diego.) Diego comes from Latin Didacus (accent on the I) and evolved from Diago (also accent on the i) to Diego. It's unrelated to the various descendants of Iacopus (accent on the a), which include Jacobo, Santiago (from Sanctu Iacopu), and Jaime (which comes to Spanish via French, as English James does). I've just discovered your page and enjoy it. Thank you for that clarification! I wish to inform you that the word dago derived from a serious insult of Italians when in America. They were standing in line awaiting pay from the Americans. They did not understand English and the assistants were teasing them saying how did your day go and waiting for a response. If no correct response was given (yes dago, day go, bene) they would not get their pay. Yes dago refers to "yes my day go well now that you are underpaying me" ..... a direct insult by Americans to the Italians. Please search resources that are meaning full [sic] and correct. It sounds as though you may be someone who has an axe to grind against Americans. Whatever your reason for believing what you wrote, your explanation is absolutely incorrect. For one thing, the word dates back much further than you suggest. For another thing, the derivation of the word is traceable back to Diego. Your story is apocryphal. If you still think otherwise, please provide us with your meaningful and correct primary source(s). I'm a subscriber of Take Our Word for It. My name is Yoon Kim, and I'm a high school student who has just become an 11th grader this year. I live in Korea right now. I want to thank you for making the site truly interesting and informative. I have known your site since January of this year 2000, and I have visited it many times. You wouldn't know how excited I feel about the new things you've prepared for the visitors to learn every time I come to check out the site. I'm planning to study abroad soon, and I think this site is really helping me a lot improving my English as well as keeping me interested in studying English. I'll recommend this site to anybody looking for cool sites on the web. Lastly, I promise I'll try to support this site in all the possible ways I can think of. What a nice note, Yoon Kim! Thank you for taking time to write. Notes like yours are what make our hard work worthwhile. Call me conflicted. I love your page, and want to trust it, but have had two Latin teachers (one in high school, one in college) tell me that "sincere" IS derived from "without wax". Both of these women are outstanding in their field, 20-year veterans. What gives? To clinch the matter, why don't you contact your old Latin teachers and ask if they can cite a Latin text which supports the "without wax" story. We'll bet that they can't.